Download this free printable template to help you keep track of your song splits, and keep this on hand to help with your song registrations. 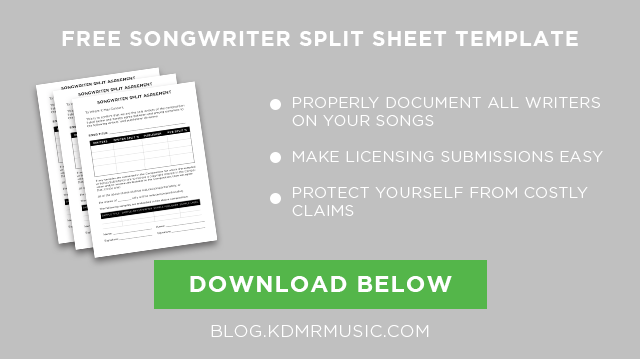 Get our free Split Sheet Template to properly document your songs and protect yourself from copyright claims! Success! Now check your email to confirm your subscription & get your download.